We spent most of yesterday at a Gem & Mineral Show just outside of Syracuse. Carol uses stones in her work and I’m just interested. 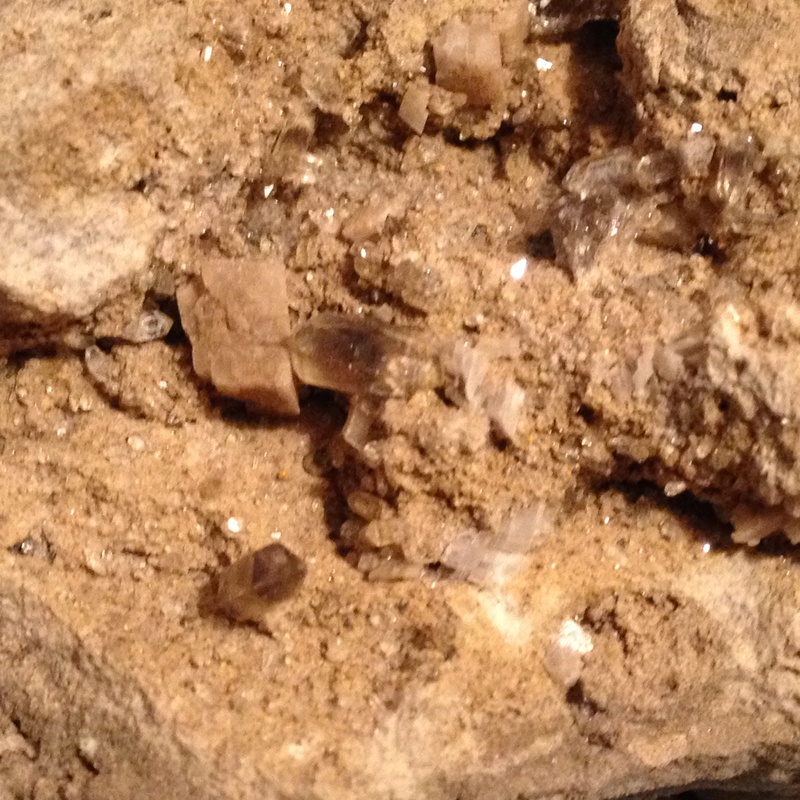 Sometimes I think I might have turned into a rock hound if I hadn’t been born and raised in Mississippi. Some people managed it anyway, but I was never clear on how, since the place I grew up was just a small section of what was, for most of its geological history, a shallow inland sea. Dirt, I knew. Rocks? Not so much. I am reliably informed that there are rocks there, and you’d occasionally see evidence of it when the highway department had to cut through a hill to make a road, but outside of a few river pebbles and the odd chunk of exposed limestone, it was rare. I had to content myself with searching for fossils within road gravel, but seldom found anything other than fish vertebrae and sections of crinoids, which no one would believe were fossils because, you know, road gravel. I find it just a little bit ironic that now I live on the side of an ancient—really ancient, as in some of the oldest rocks on earth are less than a mile from my house—river gorge. There are more natural, native stones in our several retaining walls than I ever saw growing up. Go figure. Received an email last week that Yamada Monogatari: The Emperor in Shadow is already going into production at Audible.com. That didn’t take long, considering they’d only had the manuscript for a few days. It’s likely—and hoped—that Brian Nishii will be doing the narration again. It’s possible that the audiobook edition will be available right around the same time as the print and ebook editions. Also, I may be doing a local signing for the book come publication day. Details are yet to be worked out, but I’ll post them here when/if they are.